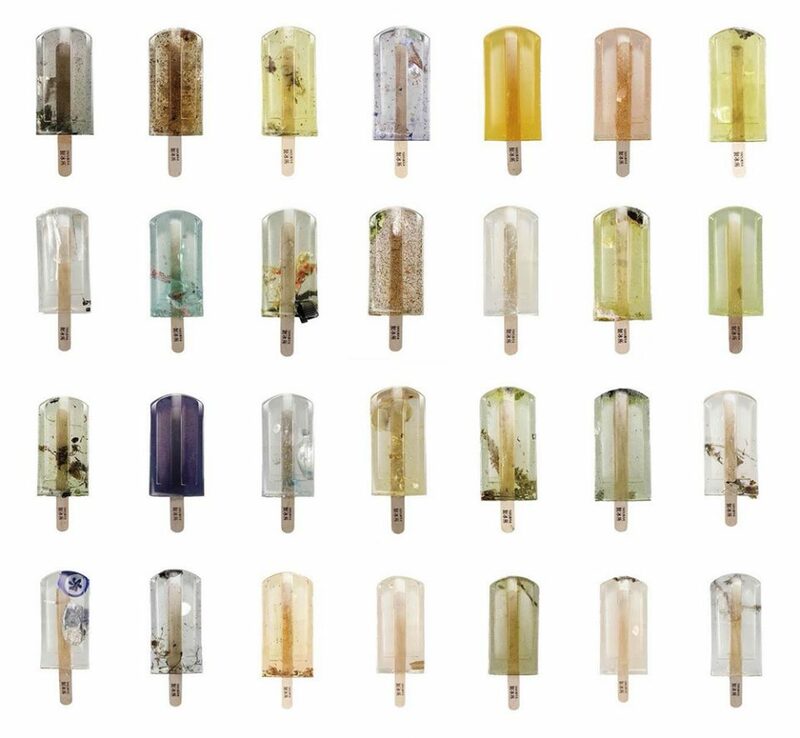 A stomach-churning twist on classic frozen treats, 100 stabilized ice pops made from Taiwan’s polluted lakes, rivers, beaches and ports feature an unsettling array of sewage found in public waters. 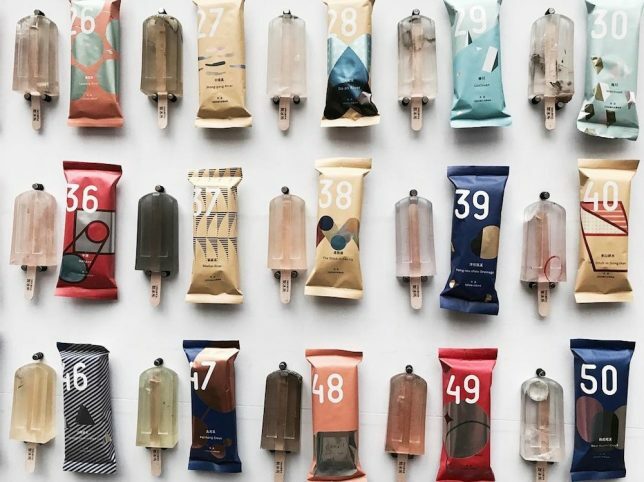 Each of these edible-scale popsicles was first frozen then preserved in polyester resin and wrapped in packaging. 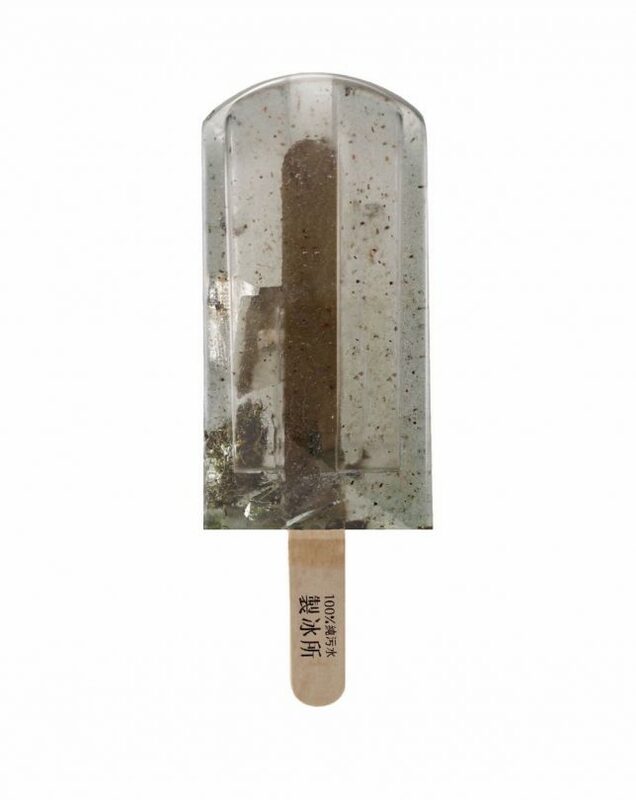 Diverse flavors feature ingredients such as plastic, arsenic, mercury and metal. Unappetizing titles include Yang-tzu-chou Drainage, The Large Ditch in Tianwei, and New Huwei Creek. 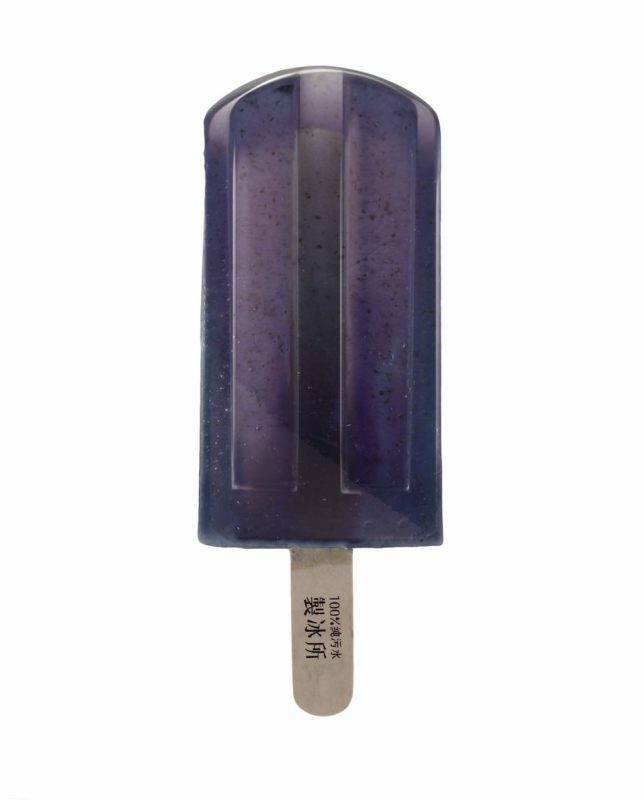 Some even look tasty at a glance, like some kind of hand-crafted iced delight. But the game of choosing something to try quickly becomes a nightmare of deciding which might be least terrible. Surely one without bits of cork, bottle caps or candy wrappers would be better, but then again: invisible poisons could be much worse. 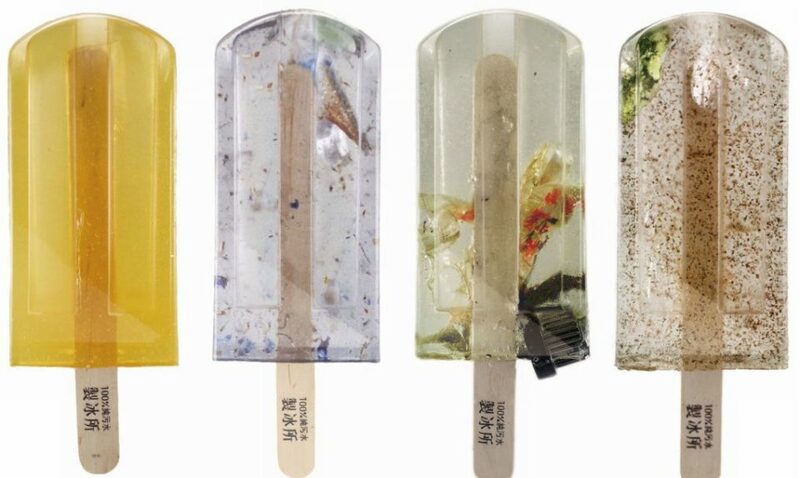 Art students Hung I-chen, Guo Yi-hui, and Cheng Yu-ti from the National Taiwan University of the Arts concocted titled their line of less-than-delicious designs “Polluted Water Popsicles.” Their work was nominated for the Young Pin Design Award and featured in the New Generation of Design Exhibition this May at the Taipei World Trade Center.